NECA Does SDCC Pt. 3: Hero From The Sky Ash is Revealed! 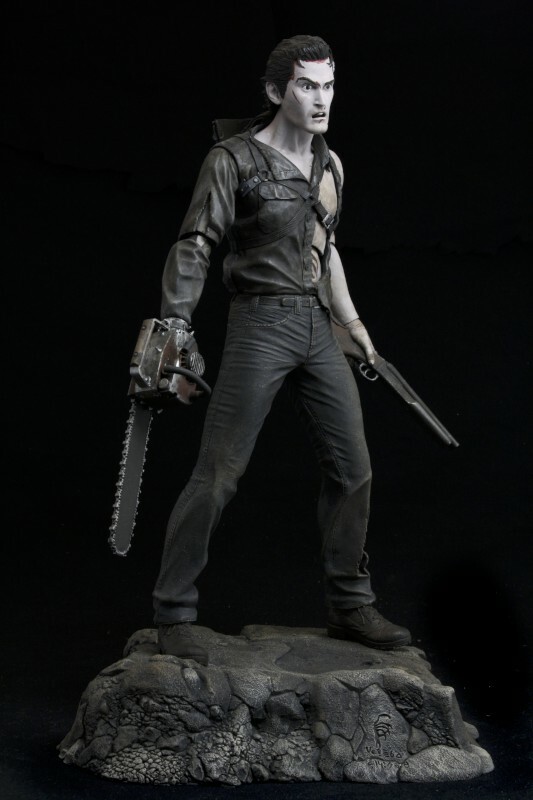 All-new Evil Dead II 7" Action Figure is SDCC Exclusive! 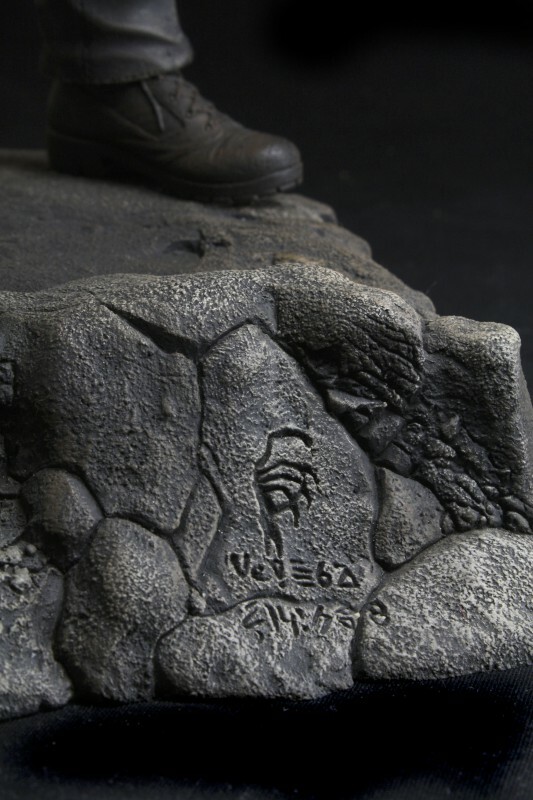 You are here: NECAOnline.com » Licenses » Movies » Evil Dead 2 » NECA Does SDCC Pt. 3: Hero From The Sky Ash is Revealed! Hard to believe, but it’s been 25 years since director Sam Raimi’s Evil Dead 2 was released. 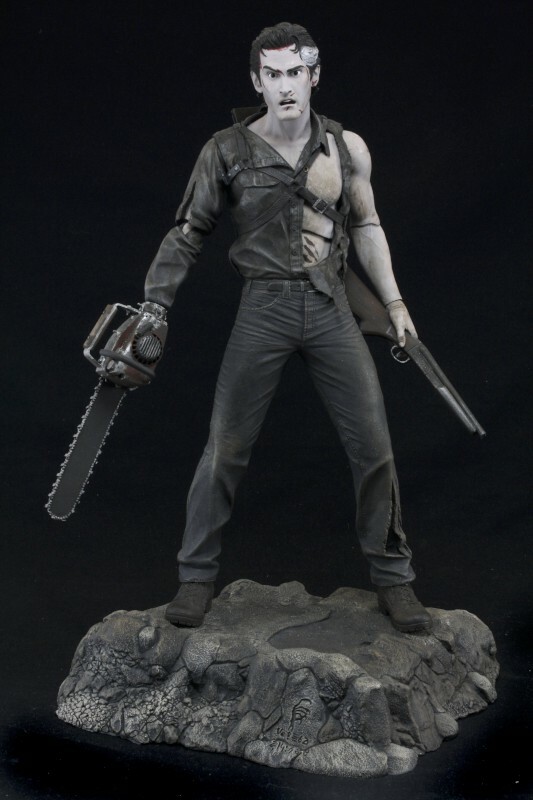 One of the best cult horror films of all time, it introduced us to the Deadites, the Necronomicon, and most of all, to Bruce Campbell’s character, Ash, the wise-crackin’ S-Mart employee who saws off his own hand and replaces it with a chainsaw. He’s one of our all-time favorite cinematic heroes. How could he not be? Who wouldn’t love that face? The third and latest in our series of 2012 San Diego Comic Con exclusives is Hero from the Sky Ash, which captures the young Mr. Campbell as he was at the end of the film. 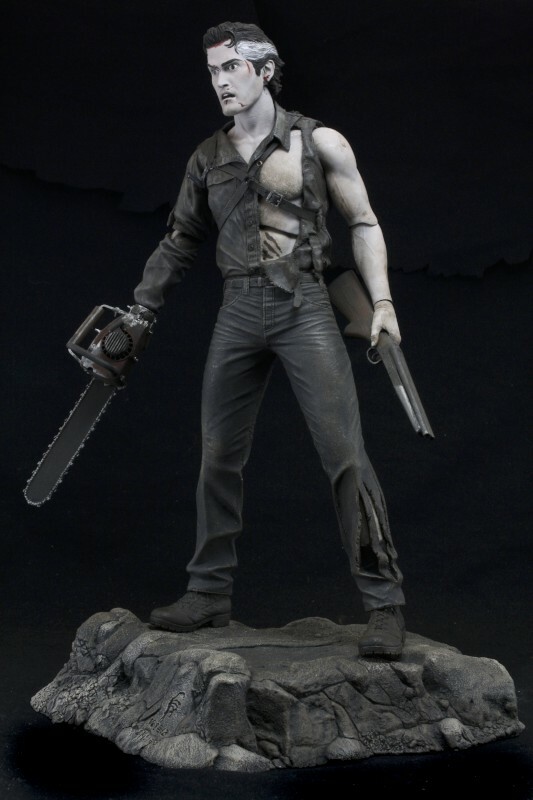 Bloodied, haggard, confused, having killed his girlfriend and a Deadite version of himself, terrified and mysteriously transported through time, Ash emerged in what would become the setting for Army of Darkness (another classic! Go watch it!) and was faced with a whole new round of Deadites to re-kill. The chin heard ’round the world. 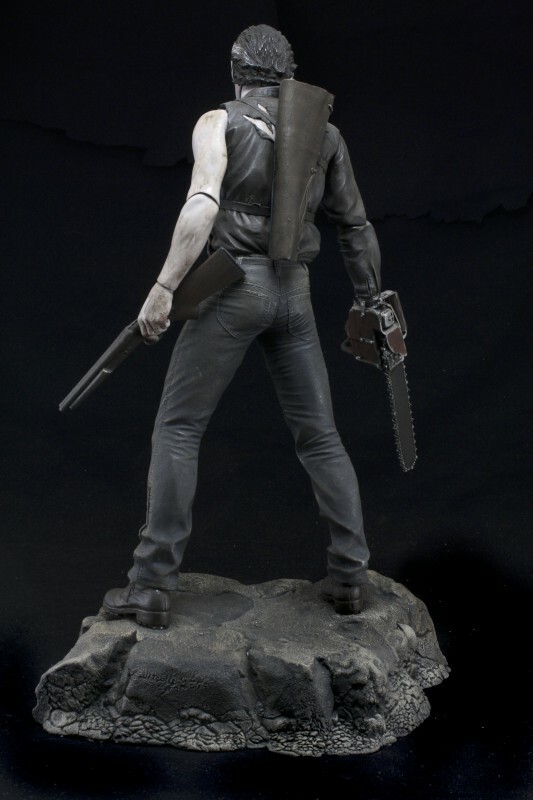 We’ve done Ash before in a series of Evil Dead 2 7″ action figures, but Hero from the Sky Ash — aside from being SDCC exclusive — perfectly captures one of the most important moments in Evil Dead 2. A sepia-toned paint job brings out not just nostalgia for the 25th Anniversary of Evil Dead 2, but also the desert Ash found himself (and his car, oddly enough) transported to. Just look at the surprise on that face. Hero From The Sky Ash comes with an exclusive display base! Can you see what we added to this very unique display base? 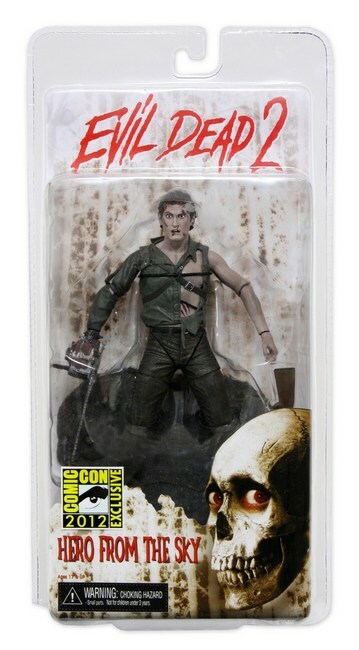 Hero from the Sky Ash comes in clamshell packaging and will be available at the 2012 San Diego Comic Con. 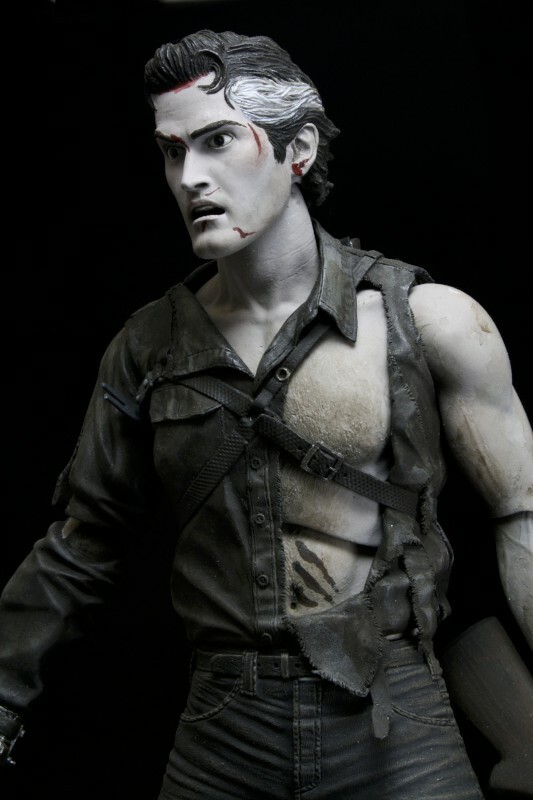 Don’t forget our other series of Evil Dead 7″ action figures as well. And if you missed our other announcements of con-exclusives — the Giant-Man HeroClix or the Cloaked City Hunter Predator — be sure to check those out, and stay tuned for another reveal next week. We promise it’s one you’ll be dreaming about! As always, keep checking back with your most favoritest action figure wholesaler and goodie specialists for the latest news and updates on all your favorite games, movies and more! Shipping This Week – Evil Dead 2 30th Anniversary 2-Pack, 24″ 2014 Godzilla Re-Release, and Atomic Blast Godzilla and Freddy Glove Restock!